Nathan Burton Comedy Magic Las Vegas is a very entertaining way to spend an afternoon that will be full of humor, showgirls and mystical illusions. 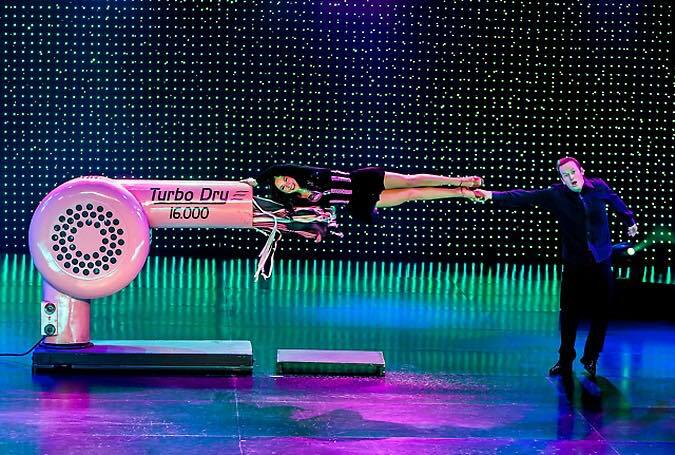 This 90-minute event is one of the best family-friendly shows performing on the Strip and is sure to please even the skeptics of magical illusions. Nathan Burton has been pleasing audiences of all ages with his wildly popular illusions, incredible quick wit and beautiful showgirls in a show that is all Las Vegas. Nathan Burton Comedy Magic evolves around several of Burton’s childhood memories. One such portion is when a huge empty Barbie Doll box appears on stage and magically a beautiful woman appears. Burton continues with the illusion when he uses a hair dryer to lift and levitate Barbie off the stage. Other interesting illusions include an amazing bowling ball which appears from a small book of paper or the BBQ of Death in which he is seared on a grill while he is handcuffed and after a splendid choreographed dance the BBQ grill is opened with an unscathed Burton appearing. In the past, Burton has been known to have elephants disappear to showgirls appearing while levitating in a glass box to putting a man in a toilet and having them both disappear. Burton is entertaining and magical in stage presence. Some of Burton’s signature illusions include intricate stage props that appear and disappear from the stage. Several illusions have been choreographed with beautiful and sultry showgirls. The showgirls enhance the illusions and their dancing is synchronized nicely with the music to bring segments of the show to a climax. Their costumes will change from illusion to illusion and from skit to skit. There is usually a second performer each night that interjects humor and perhaps juggling or sleight-of-hand tricks. The Saxe Theater is a nice venue for this type of show. This intimate theater with less than 300 seats has great sight views. The choreographed multimedia effects are provided by Andy Walmsley who designed sets for American Idol and America’s Got Talent. The sound system has all the right clarity when patrons are in suspense during one of Burton’s illusions and while the beautiful dancers perform. Nathan Burton Comedy Magic show can make a dull afternoon into one of mystical illusions and humorous comedy. This highly choreographed show has something for everyone in the family from babies to adults to grandparents. Nathan Burton was born in Oakland, California and would spend his younger years in Palm Desert where at the age of four he amazed his classmates in kindergarten when he performed his first trick. As Burton was growing up he entered and won four international magic competitions against magicians from across the globe. Since his first headline job in Atlantic City, Burton has continued to impress audiences. Burton first appeared in Las Vegas in 2001 and has headlined in various Las Vegas productions like V-The Ultimate Variety Show. Burton has appeared on television around the world including cities like Seoul, South Korea; Paris, France; Lisbon, Portugal and Santiago, Chile. Burton has also been featured on several television shows like E! Entertainment with Wayne Newton, Miss USA Pageant, The World’s Greatest Magic on NBC, Miami Ink and don’t forget about his stunning performances on the first season of America’s Got Talent. 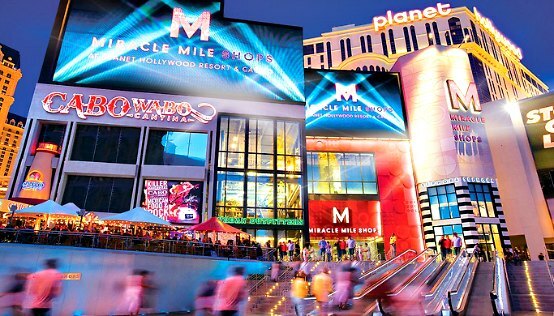 Nathan Burton Comedy Magic show is performing at the Saxe Theater within the Miracle Mile Shops located at Planet Hollywood Hotel and Casino. The sight views are good with an arced stage that provides an intimate feeling for up to 300 patrons. The show is family-friendly and open to all ages. Nathan Burton Comedy Magic Las Vegas show runs Tuesday through Sunday at 4:00 P.M. Nathan Burton Tickets are on sale now and range from general admission first come first serve seating to a reserved VIP seat.